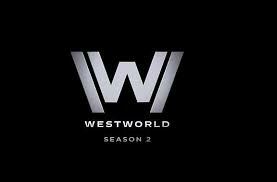 I recently finished catching-up on my DVR’d episodes of the 2nd season of Westworld. I was able to watch it on HBO thanks to giving the cable company Hell when it was time to renew our contract--in order to keep us as customers they threw HBO in for free for a year or so. I of course liked season 1 a great deal but my two biggest criticisms of it were that it was essentially all build-up and it spread 5 episodes worth of great content out over 10 episodes, making watching it feel at times like a slog—an enjoyable slog, sure, but a slog nonetheless. Season 1 ended with the long-promised robot rebellion we were promised kicking-off however, and answered a few big questions (e.g William WAS the Man in Black in the past, to name the biggest reveal) making it look like when season 2 began we would finally be getting the mayhem only hinted at in the finale of season 1. Well, having now watched all of season 2 I can state it is mostly what I was hoping for—a lot of enjoyable payoff from all the place-setting, and still some annoying aspects. Westworld loves to jump around in time. It is like a little affectation it can’t quite help. It made sense in the first season as Dolores came to terms with being a Host who was accessing scattered past memories that were supposed to be locked-off, and helped to allow the kinda-shocking reveal that William was the Man in Black (it wasn’t a total surprise as lots of people saw it coming and I’m still amazed I didn’t predict it as normally I’m decent at guessing a twist). 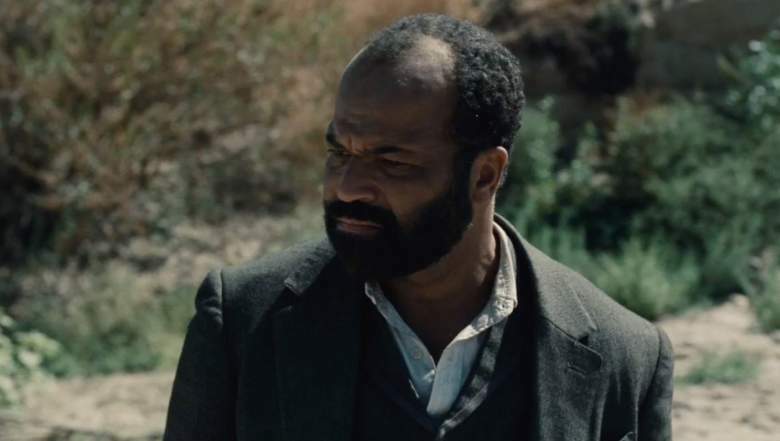 That said, this season we had the present with Bernard figuring out what killed almost all the hosts, a recent-past where the majority of the story takes place with the robots beginning to rebel, and then snippets of decades ago featuring when Logan became interested in Westworld, when Willam/the young Man in Black slowly consolidated power, when an Indian in Westworld realized it was lie, older William losing his wife, and of course a stinger after the credits of season 2 set apparently far into the future. Yes, part of the challenge of watching, “Westworld,” is just figuring out when the Hell a scene takes place. Bernard's sense of time is all kinds of scrambled this season. To the show’s credit it takes advantage of viewer confusion at times to make some clever moments occur (like when Bernard first realized he wasn’t really in a cave with Elsie but instead in a memory), and it was cool to flash way back in time to when Arnold was still alive and Westworld was a plucky startup, but the whole thing with, “Two weeks ago,” slowly catching up to the present felt a little like some unneeded chopping-up of that story. It resulted in the story-line for Bernard seeming a bit messy and at times more like it was a framing device for everybody else’s yarn. Jeffery Wright is such a good actor though that even when Bernard’s plot lagged it was entertaining. Speaking of exciting stories, what Maeve (Thandie Newton) and crew were up to didn’t really intersect with anybody’s plot at all except right at the start and near the very end, but by being removed from a chunk of the time-jumping shenanigans it actually was allowed to be the most straightforward and entertaining story. 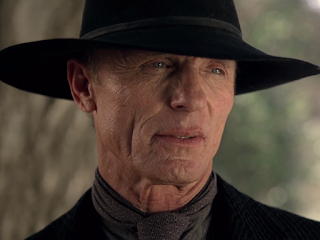 While Westworld can at times be tricky to sum up, Maeve’s plot summary this season is an easy, “She wants find her daughter and will do whatever it takes,” that results in all kinds of wild events occurring from a visit to another park (“Shogun World,”) to the development of a fascinating new power to mentally, “Speak,” to other hosts and control them. It was some stellar stuff and possibly only rivaled in quality by the heartbreaking and mostly self-contained eighth episode that followed the sorrowful life of an Indian named Kiksuya (Zahn McClarnon) in Westworld. Now, in regards to an story-line that wasn’t necessarily entertaining/fun but was fascinating there is William AKA the Man in Black (played as suitably terrifying by Ed Harris). There was a bit more time-hopping than I would have liked, but his plot has the wildest developments that ended up of course having a great impact upon Dolores’ robot revolution and Bernard realizing some dark truths about the park. The plot basically draws a bit from the wackier sequel to the original, “Westworld,” movie, “Futureworld,” which creator Michael Crichton was not involved with, interestingly enough. Basically, we learn that there are motions in place to transfer human minds/consciousness into Host bodies by saving data about everyone who has ever visited the park, and a degree of success has been had, but its still quite buggy after years of efforts. William has been involved in this from the start, working for the corporation that owns the park, Delos. One compliant I've often seen online is that there isn't much reason given throughout either season for why William is such a terrible person, but I actually am fine with the bare-bones attempt at clarifying his personality. He didn't have anything too specific occur, it is just a, "Stain," that has always been in him that he tries to deal with and hide. He's just a person who buries his monstrous nature as deep as possible under a guise of kindness and philanthropy. There isn't much too him in that sense, and that's the point. One character who ends up being straightforward to the point of becoming sadly bland however is Dolores. Yes, I haven't spoken a ton of Dolores, who is a focal point much of the first season and in this one kicks-off the whole thing with robots killing humans. That's because her character seems like little more than a way to drive the story forward for a lot of the show, with Evan Rachel Wood's amazing acting as a conflicted young woman coming to nature with the dark truth of her reality in season 1 now relegated to 90% of the time being a bloodthirsty fiend willing to kill almost anyone--human or host--who gets in her way. That 10% I left out are for the few scenes she gets to emote anything besides anger and violence such as her sweet scenes with her, "Father," Peter, and with James Marsden's Teddy. Speaking of Teddy, he really gets a bum deal most of this season, hesitantly tagging along with Dolores, being reprogrammed by her against his will once she thinks he's too weak, and then killing himself before at least getting to go to the robot heaven at the end for all his trouble and heartbreak. Marsden is a great actor and always seems to get stuck playing characters who get the short-end of the stuck (Lon Hammond in, "The Notebook," Cyclops in the, "X-Men," franchise), just once I'd like to see him play a guy who comes out on top! Still, with him now gone along with some other characters we will be following what looks like a plot of Bernard versus Dolores for season 3. With the parks all seemingly closed will we see more of the real world now, or peek into the parks that maybe exist but we haven't visited? Time will tell. The 2nd season of, "Westworld," gives me a lot of the action and plot development I felt the first batch of episodes lacked. Certain story-lines impressed more than others and the show's love of jumping-around through time is at some points a hassle, but overall it was a fantastic time and I loved it. I look forward to what season 3 holds for sure and hope at least some of the great characters who seem to possibly be dead (Maeve, NOOOO!) return. Oh, and if I may contribute to one ongoing internet debate, Ashley Stubbs (Luke Hemsworth) clearly was stating he's secretly a host in his last scene. It explains a lot.